Nearly 11 crore voters have voted in the 5 state elections in Nov-Dec 2013 and elected their new Government. Whichever party has won or lost, ultimately the Indian voters have won. Indian democracy has won. That is why from 2009 onwards, I term this as 'Celebration of democracy'. 'Celebrate Democracy' will be our theme for the Sansad Ratna Awards 2014. I congratulate all the elected representatives and wish them all the best for their public service. In the recent state elections, BJP is able to retain Madhya Pradesh and Chattisgarh for third term. The respective Chief Ministers have to be appreciated for their effective governance. Congress lost heavily in all the states. They have also lost their Government in both Delhi and Rajasthan. Congress has retained Mizoram. While BJP has won nearly 70% of the seats that went for polls, Congress could gain only 20% of the seats. 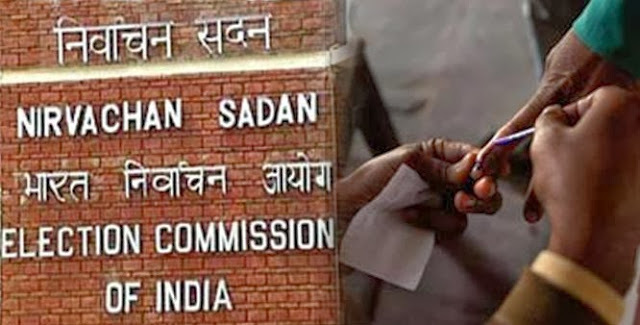 With General Elections 2014, few weeks away, Congress has to work hard to gain the public confidence. People reposed confidence and rewarded the Chief Ministers of MP and Chattisgarh with more seats for their better governance. At the same time, they rejected miserably the CMs of Rajasthan and Delhi for their bad performance and governance. BJP Chief Ministers in all their states offer better governance. The fact that Gujarat, MP and Chattisgarh people have voted back their Governments for the third time in a row is an ample proof. After 2004 and 2009 debacle in Lok Sabha, BJP workers and leaders became diffident and lacked motivation. The emergence of Narendra Modi or NAMO has galvanised the BJP workers more. Though Modi was accused of splitting the top leaders earlier, he has succeeded in uniting the workers at every level across the nation. He is a great communicator and sets the agenda for the discussion for all parties. By making himself at the centre stage through positive or negative news, he has made BJP as the main force in India. On the positive side, the BJP top leadership gives enough freedom to their Chief Ministers to function effectively, within the overall frame work of the Policy. They have developed popular regional level leaders like Modi, Chauhan, Raman Singh, Vasundhara Raje Scindia and Manohar Parrikar. Generally, the functioning of present senior BJP leaders during Morarji and Vajpayee Governments as ministers are still considered as 'excellent' by political experts. Coming to the negative side, BJP is more dominant only in the northern part of India. They are yet to take roots in East and South. Even the one Government at Karnataka was lost because of their leadership management. They are seen more as 'Hindi walas' by East and South people. Modi's popularity is trying to reduce this feeling, still they have to go a long way. Another negative side is that they are being seen as communal by other parties though they show secular credentials in BJP ruled states. The other parties take advantage of this situation and scare the minority people about BJP. Another negative point is their scant respect for voters. 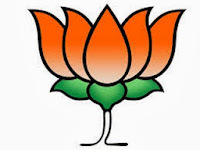 During the recent state elections, BJP fielded maximum of candidates with criminal background. Out of 31 BJP MLAs elected now in Delhi, 17 have criminal background. This reflects their over confidence on their popularity. Some of the Delhi experts say that BJP lost the majority in the assembly, because of their fielding candidates with criminal background. On the positive side, Congress has rich experience in governance. They have governed the nation during the testing times very well. They have very good leaders who are well experienced, but not known outside. Congress is spread across the country. 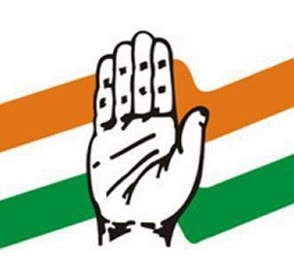 Whether they rule or not, Congress is the only party which has membership in the entire nation. Though they play communal and caste politics every time more than other parties, they are still considered as a 'secular' party. On the negative side, the party is controlled only by one family, i.e. Nehru or so-called GANDHI Family. Even the talented leaders like Pilot, Scindia are not able to showcase their talents effectively. They ensure that talented leaders do not come up to avoid challenge to the Nehru family. Even the Chief Ministers of congress ruled states have to take permission from Nehru family even for small matters. Though they are spread across the nation, they do not allow the regional leaders to grow. They treat even the Chief Ministers as their dummies. For an example, as against the suggestions of CM of Andhra, Congress is pushing the split of Andhra. 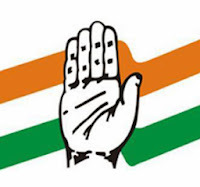 In the last ten years, Congress has become highly insensitive to corruption and governance issues. Even the Prime Minister has to kneel down before the Prince Rahul Gandhi. 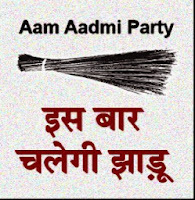 AAP which was formed few weeks ago, has surprised everybody by gaining near majority seats (28 seats) in Delhi. The success of BJP and AAP in these elections reflect loudly that people want a better transparent governance and not mere promises. In the recent decade, emergence of internet and social media has created more political awareness among the new generation voters. The new generation voters and particularly the first time voters are against the bad governance and corruption. When the emotions were running high, Arvind Kejriwal floated the AAP Party and successfully converted the emotions and mood of the people into votes. To the surprise of the nation and all political parties they secured nearly 30% of vote share and 28 seats. This is a great and wonderful achievement for any new party floated few weeks ago. In early 1970, MGR floated AIADMK, when he was dismissed from DMK and within one year, he captured the power in Tamil Nadu securing 31% vote share. Before floating the party, he was quite popular as an actor and a leader of DMK. Till date, the party continues to enjoy the supremacy in Tamil Nadu. His successor Jayalalitha is now the CM of Tamil Nadu. In 1977, immediately after the emergency, Lok Nayak Jayaprakash Narayan formed Janata Party combining various political parties, with the aim of defeating Indira Gandhi. They secured 345 seats out of 542 seats in Lok Sabha with 52% vote share. Janata Party captured power at the Centre within few days of formation of the party. The Government formed by Morarji Desai (Janata Party) collapsed within 2 years. Janata Party got split into various pieces, due to internal ego problems of their own leaders. Now Janata Party is not in existence. In the same way in the early 1980s, when Congress humiliated their own CM Anjaiah in Andhra, NT Ramarao, popular actor, floated Telugu Desam as 'Telugu pride'. He also captured power with massive majority and securing 46% vote share within few months. NTR developed the party with his film popularity. Even when NTR was alive, the party was captured by Chandrababu Naidu, who became Chief Minister later. The party has now become weak. In 1985 Asom Gana Parsihad (AGP) was formed by student leader P K Mahanta in Assam, out of the emotional issues of illegal migrants. In the first year itself, they captured power with 34% vote share. At that time, some of the students who were in the hostel became Ministers. Though the party formed the Government two times, due to various internal differences got split and they are only a minor party in the state now. Of the above parties, only AIADMK is still surviving powerfully for the past 40 years, because of the leadership. 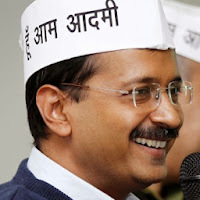 In the same manner, Aam Aadmi Party (AAP) also was formed recently as a result of the emotional issues like anti corruption movement by Anna Hazare and Nirbaya case. Under the leadership of Arvind Kejriwal (photo), AAP has now secured nearly 30% vote share and 28 seats. Since AAP has secured power and position in Delhi, they have to safe guard themselves from the internal ego clashes and external attacks to split the party. Since AAP was formed on emotional background and public anger against ruling party, they were able to get into Delhi Assembly. Now their real challenge begins. Shouting in the streets holding candles in the hands, without being in power will be totally different from discharging responsibility as MLA. AAP has two options before them. 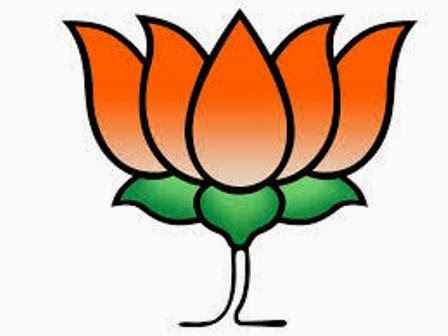 (1) Collaborate with either BJP or Congress parties and form the Government to prove their governance skills and to comply with the promises they have given to the people. Definitely, the supporting parties will not pull down the Government, as it may be counter-productive for them. This is the best option, but it is a double edged sword. (2) Sit in the opposition and play a constructive role in the Legislative Assembly. Sitting in the opposition gives lot of learning experience. Now people are watching AAP closely with huge expectations, because of the various promises. With this victory, AAP also announced that they would become an alternate party to BJP and Congress at National level. Only time can tell whether AAP will survive all the challenges and remain in tact as a 'party with a difference' or vanish in the course of time like many other predecessors. எம் ஜி ஆர் கட்சி ஆரம்பித்தது 1972 ல் 1970 அல்ல. தமிழக பி ஜெ பி யை எச்சரித்து வையுங்கள். ம தி மு கவுடன் அவர்கள் கூட்டு வைத்தால் நான் உயிரை கொடுத்தாவது அந்த கூட்டணியை தோற்கடிப்பேன்.